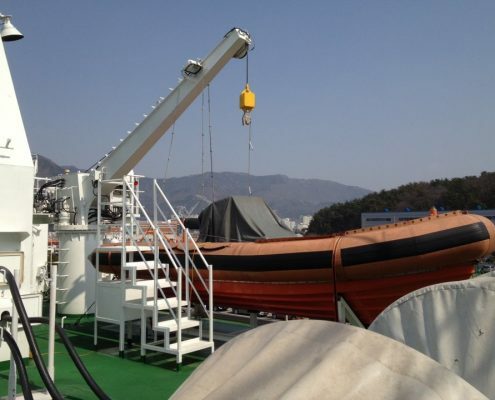 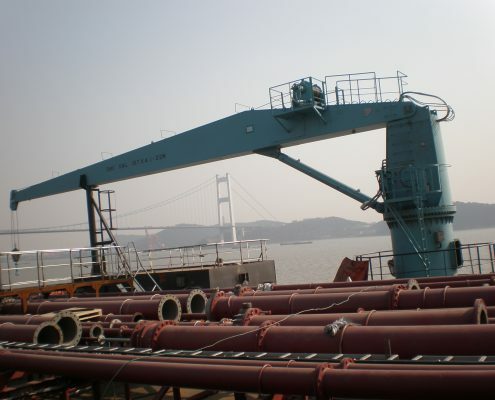 Electro-hydraulic hose handling crane is used for handling hose for loading and unloading oil or chemical on chemical tanker or oil tanker. 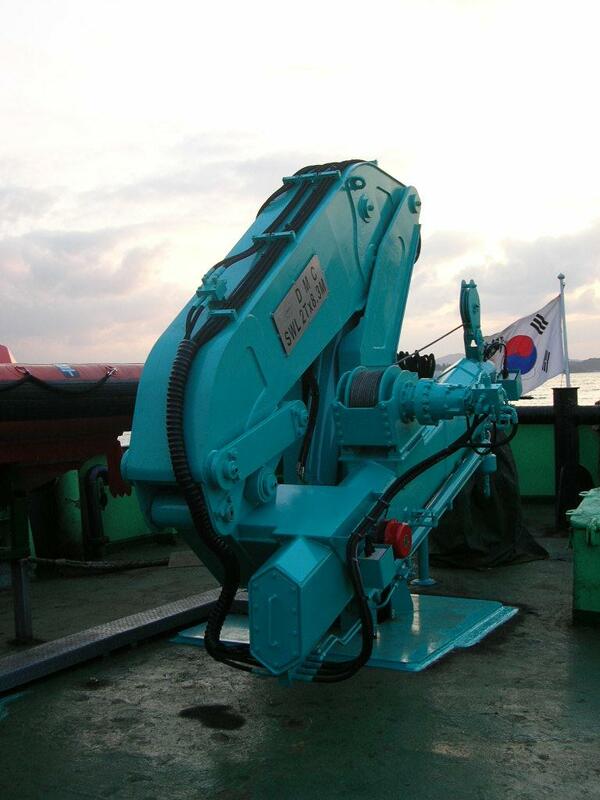 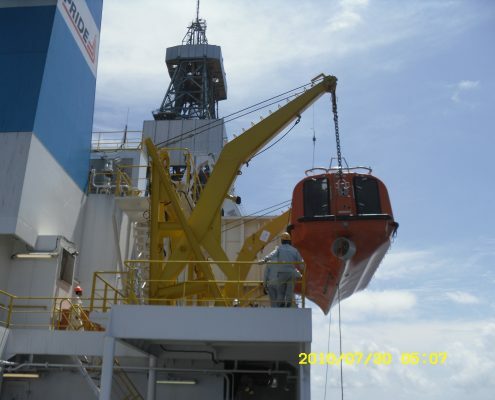 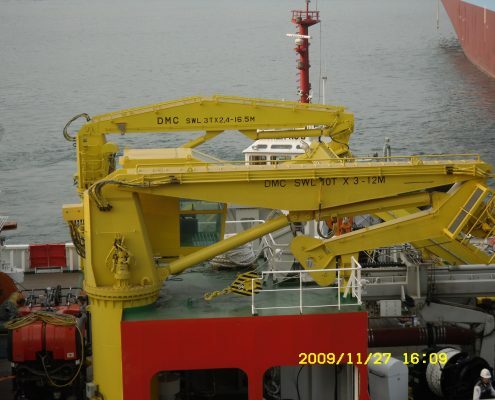 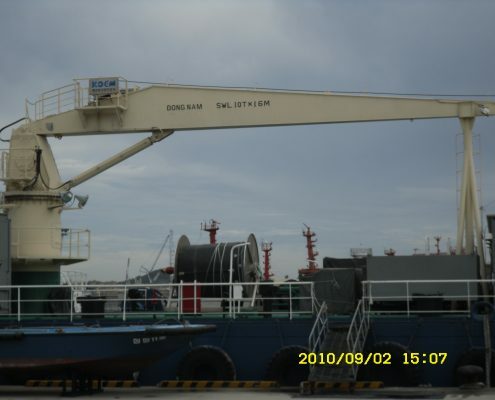 Crane’s maximum capacity is about 25ton and is generally installed one or two sets per one ship. 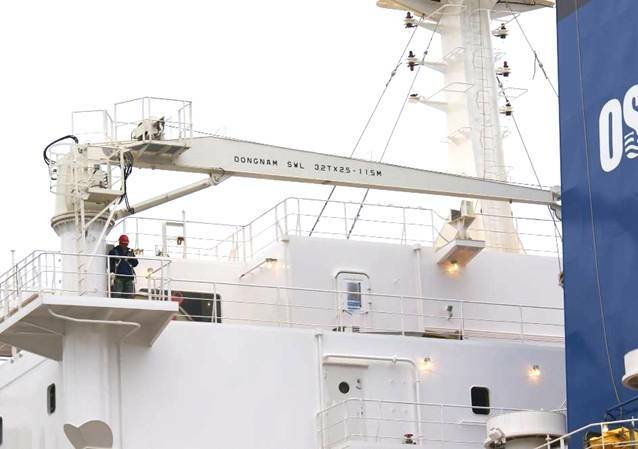 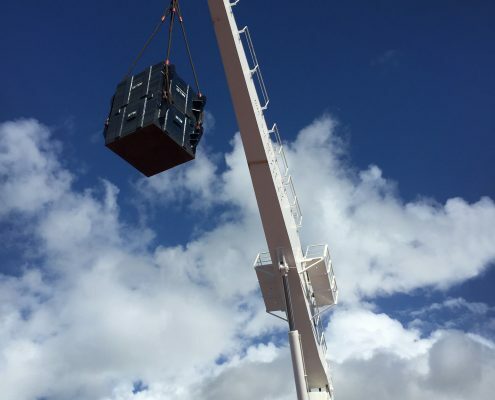 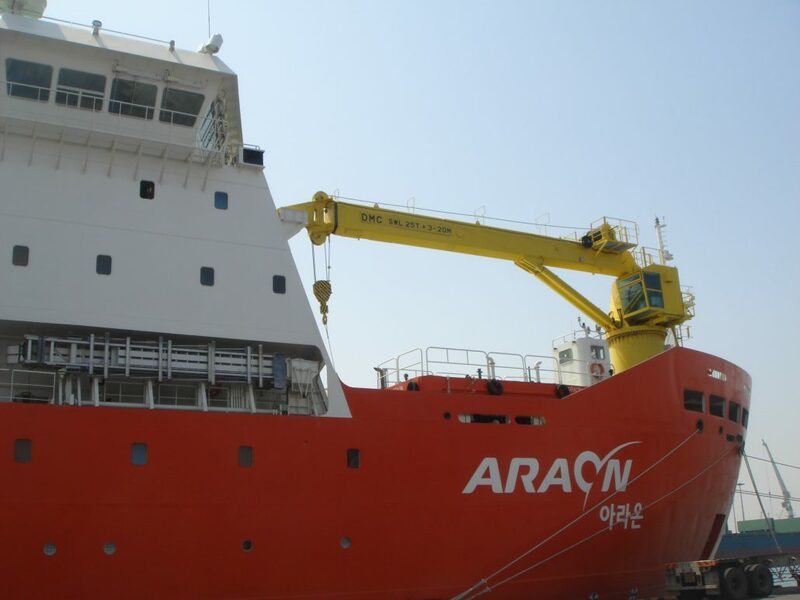 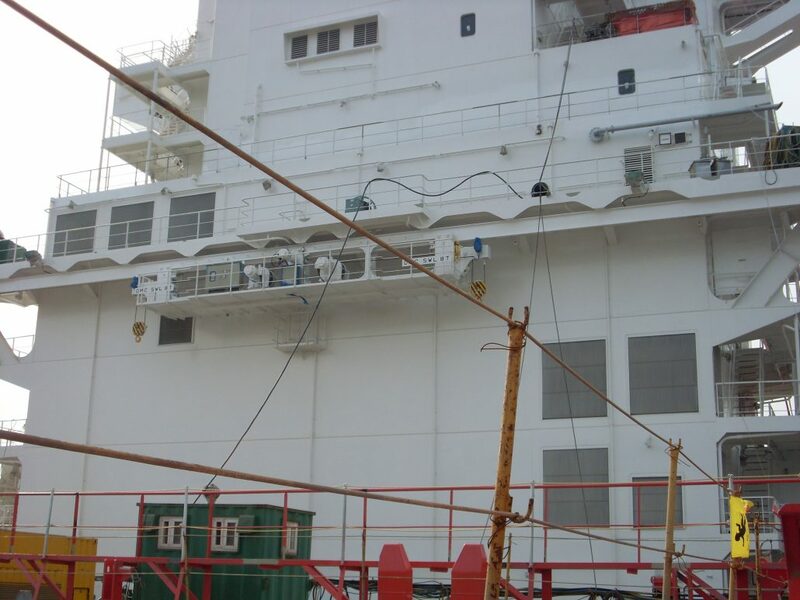 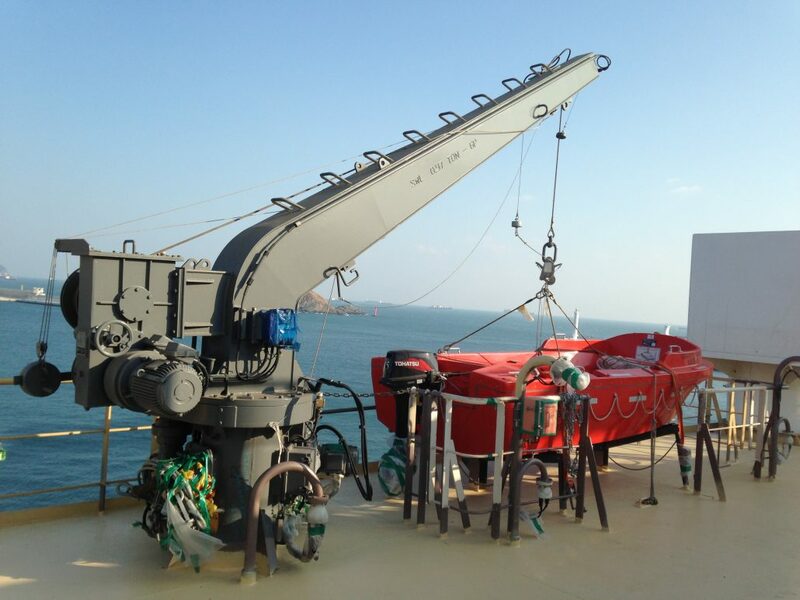 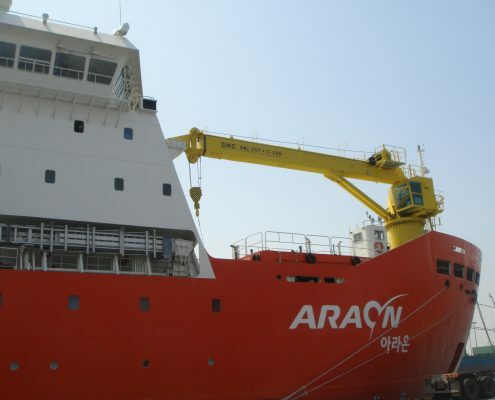 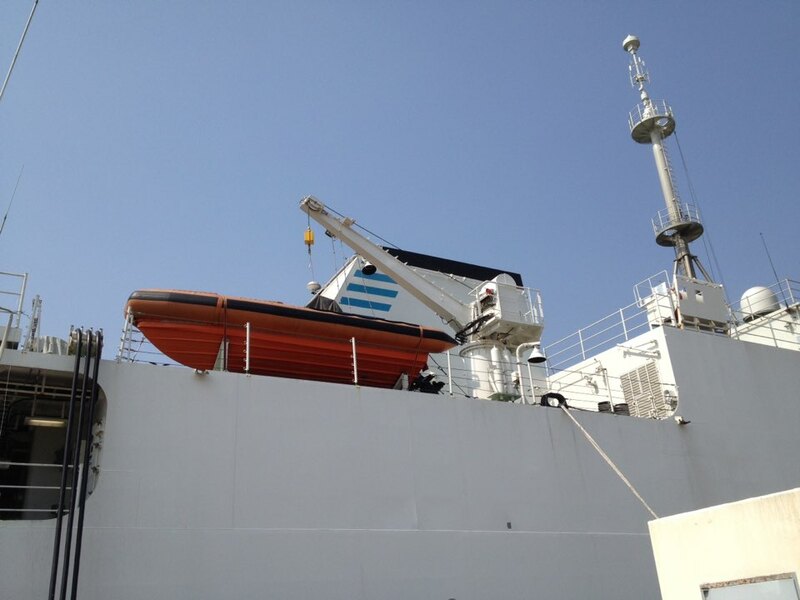 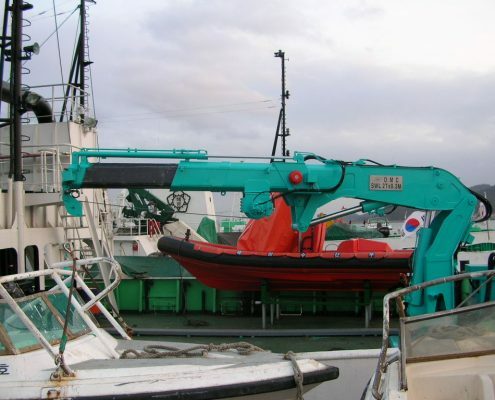 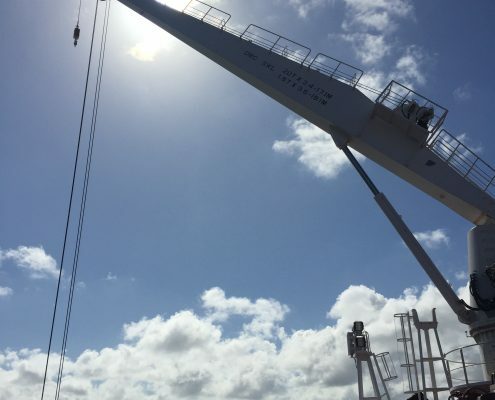 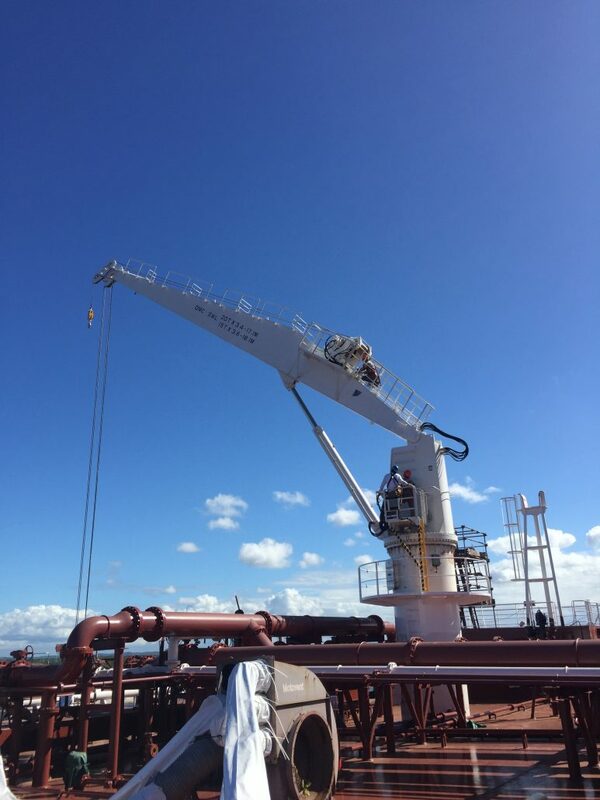 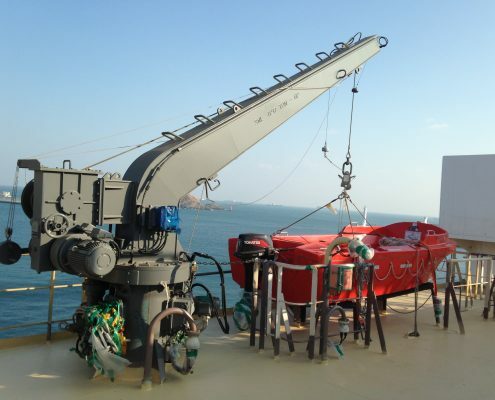 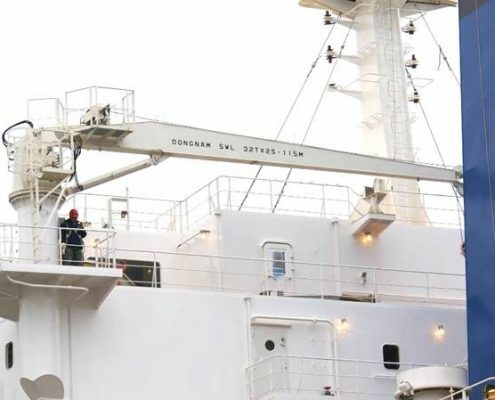 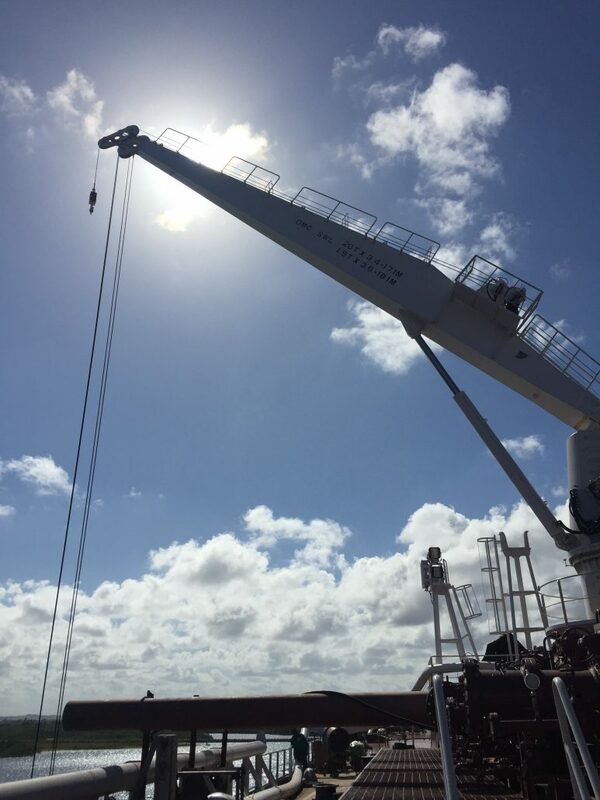 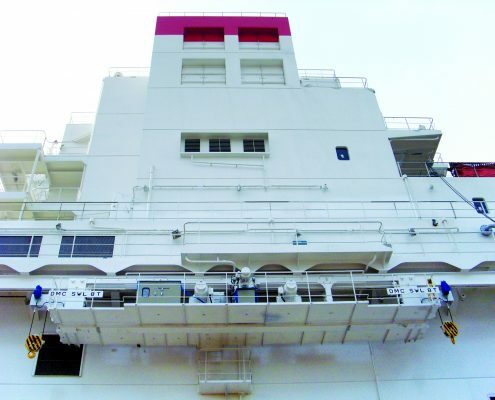 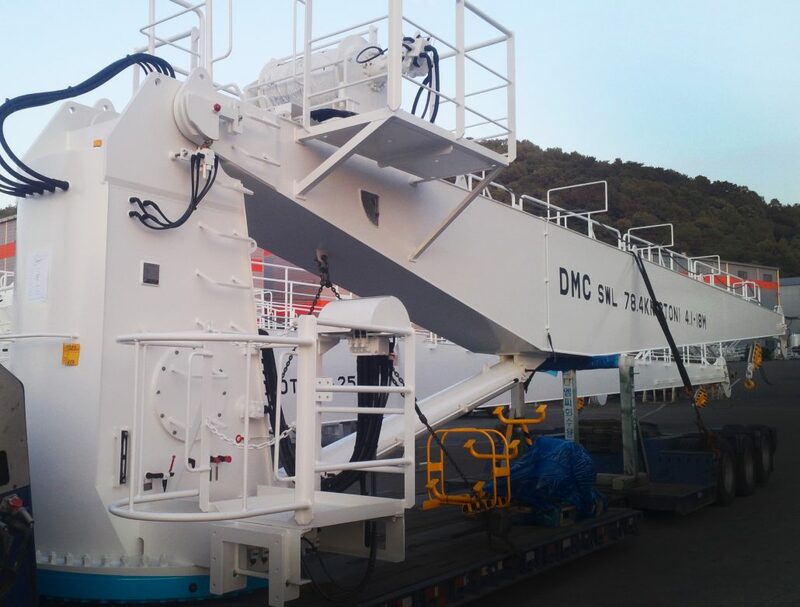 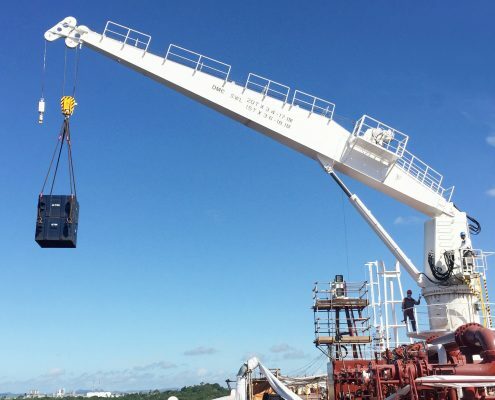 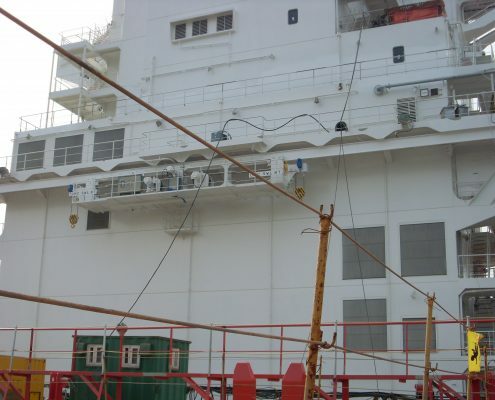 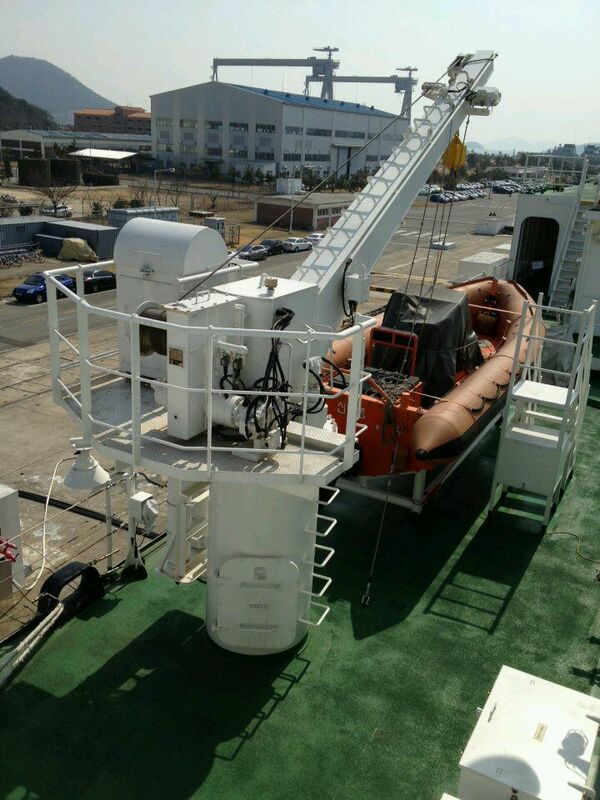 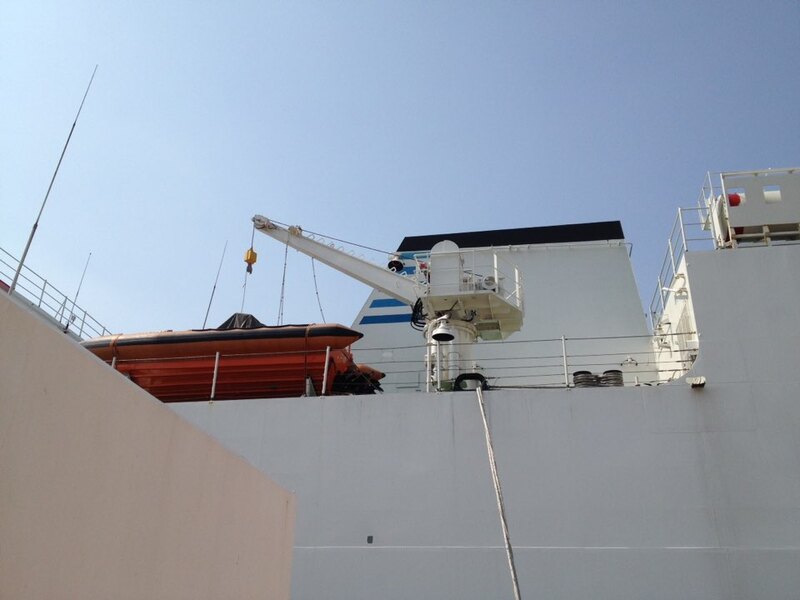 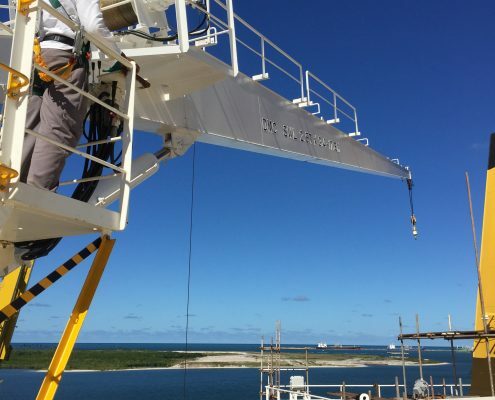 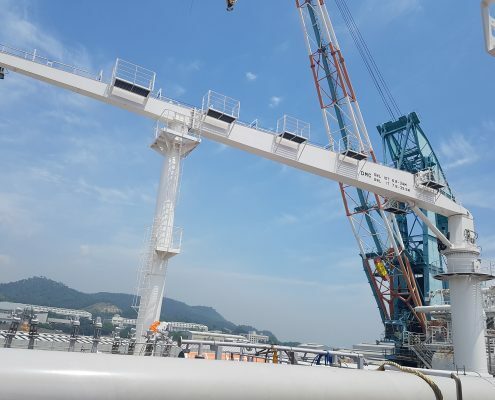 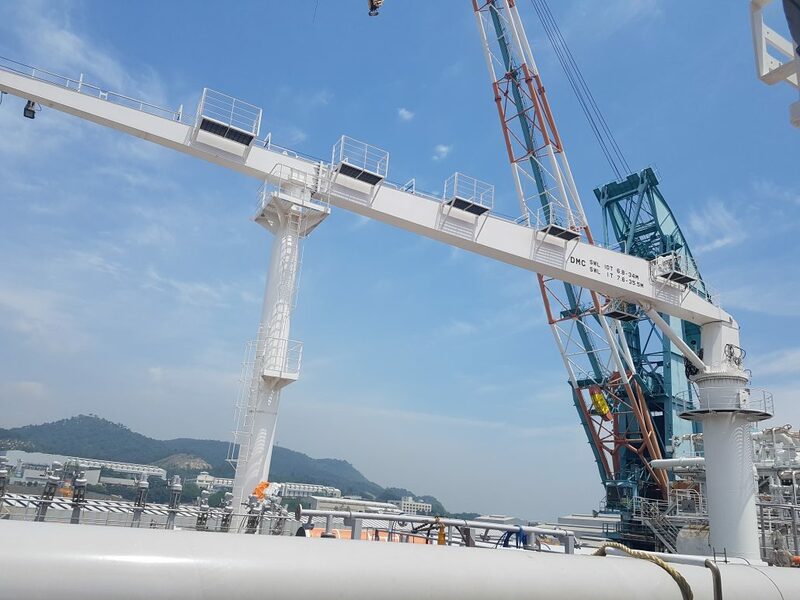 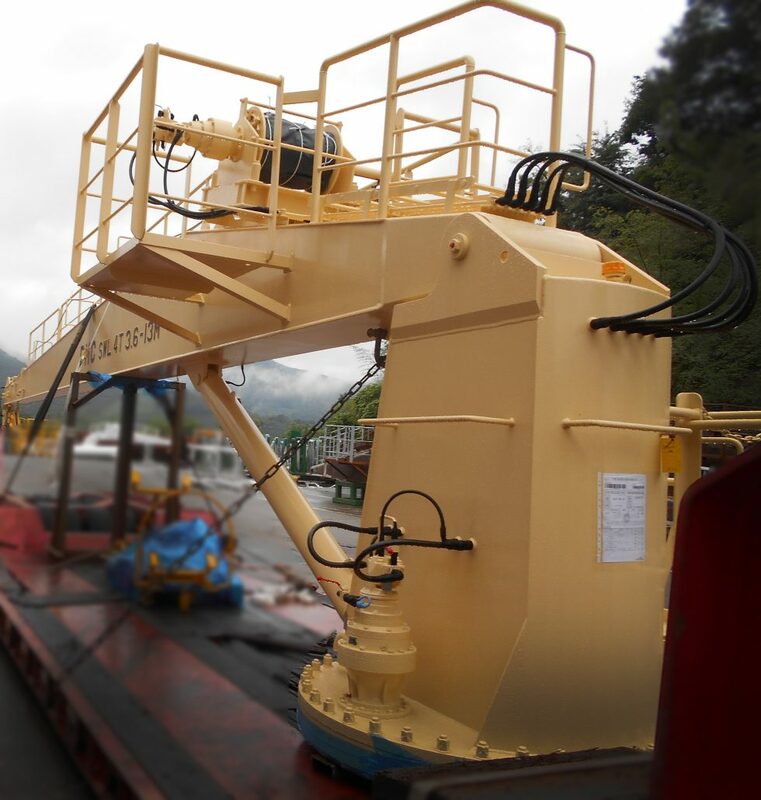 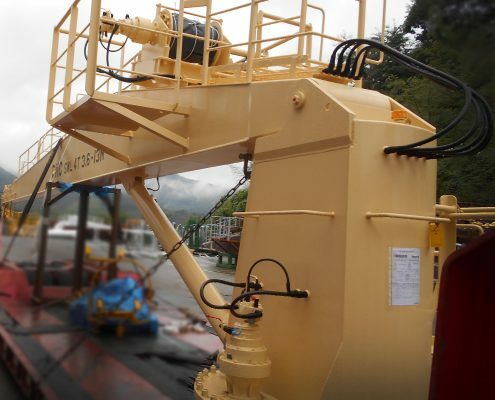 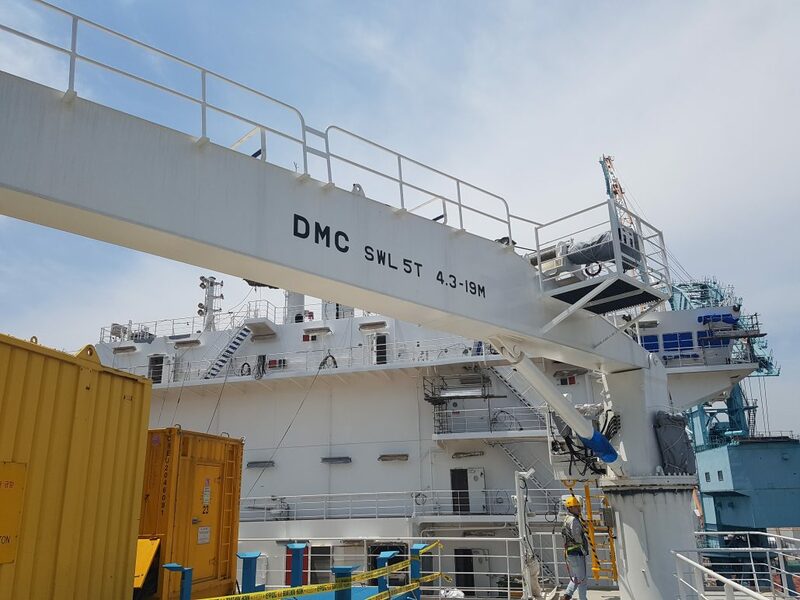 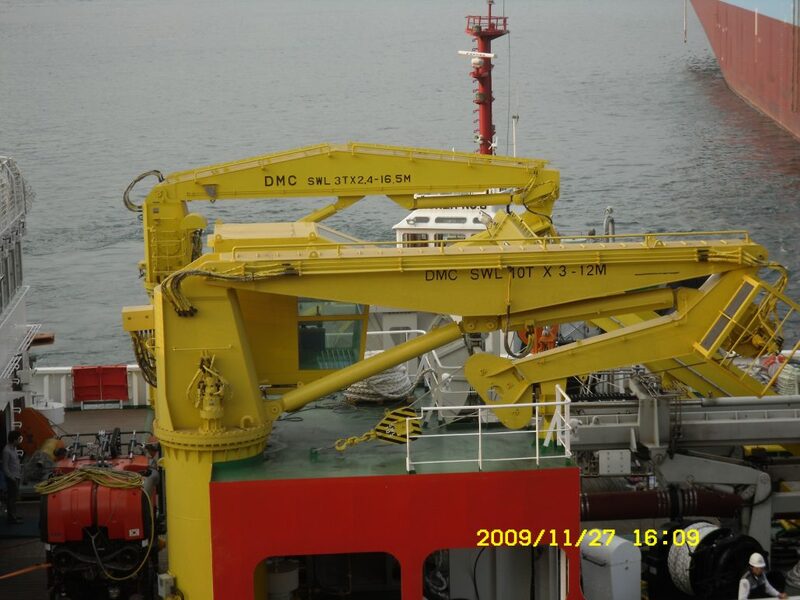 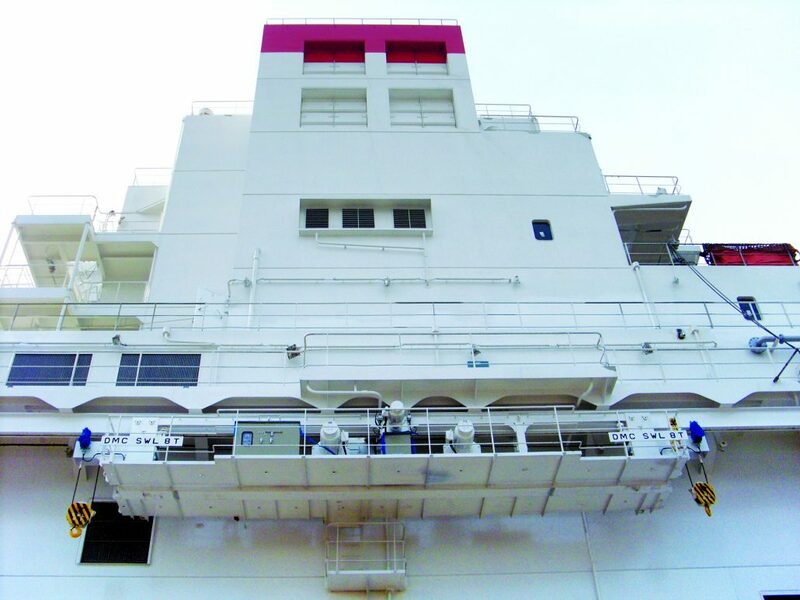 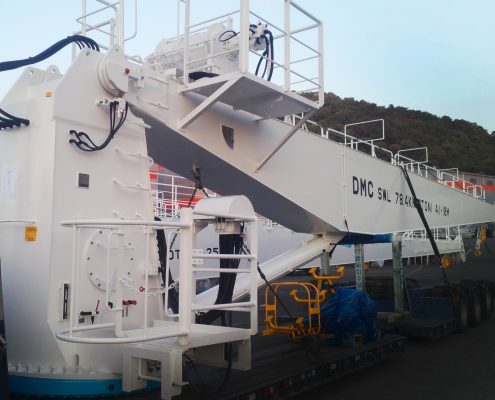 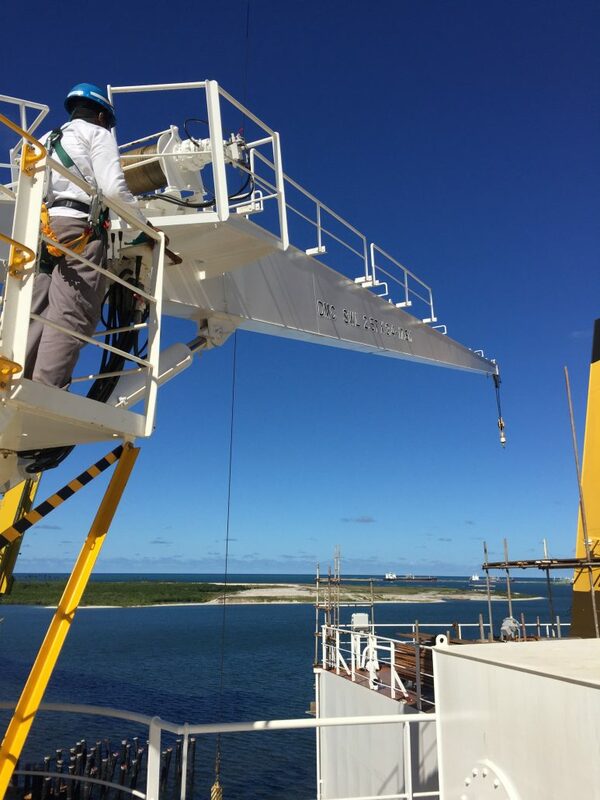 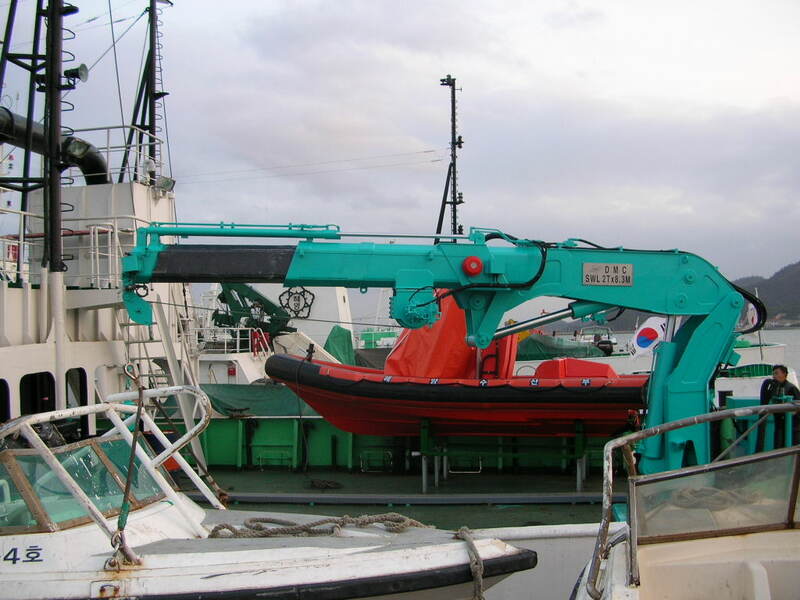 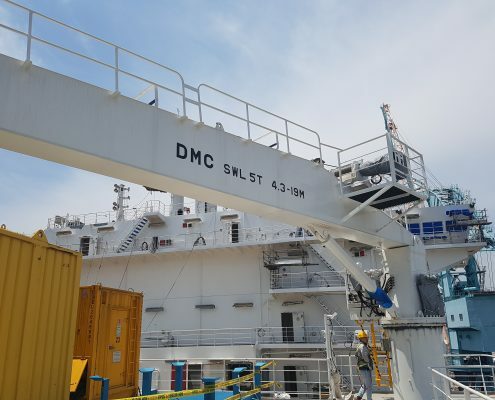 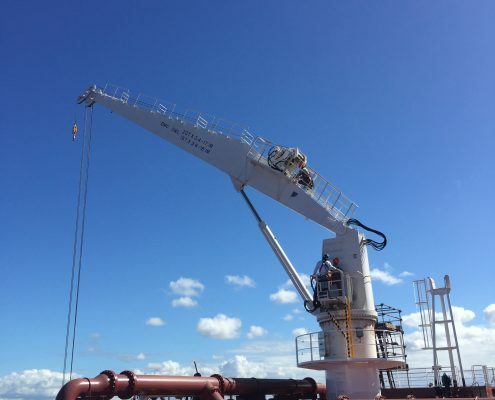 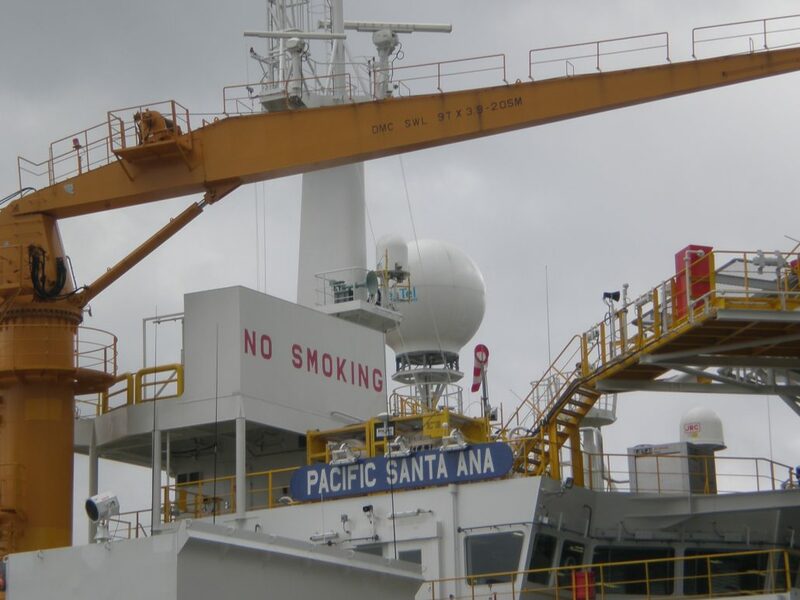 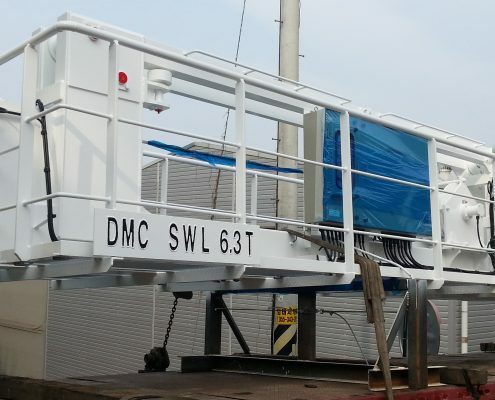 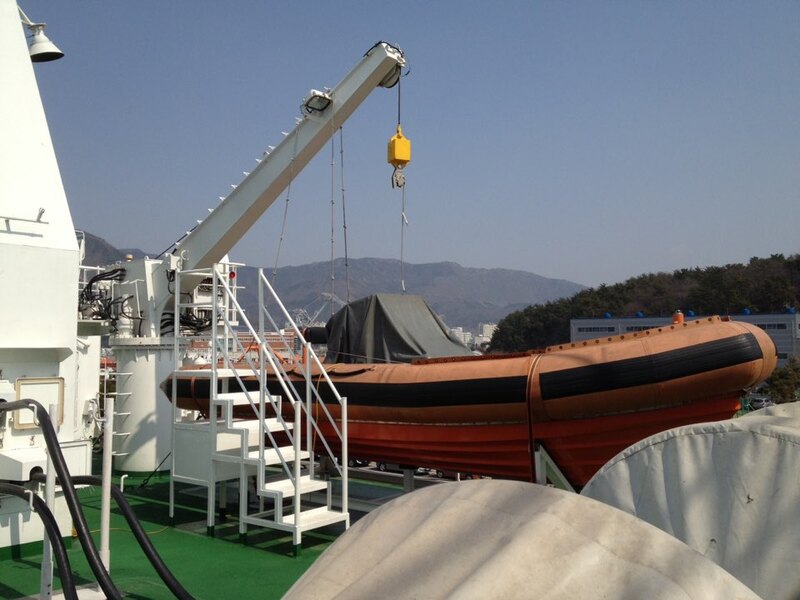 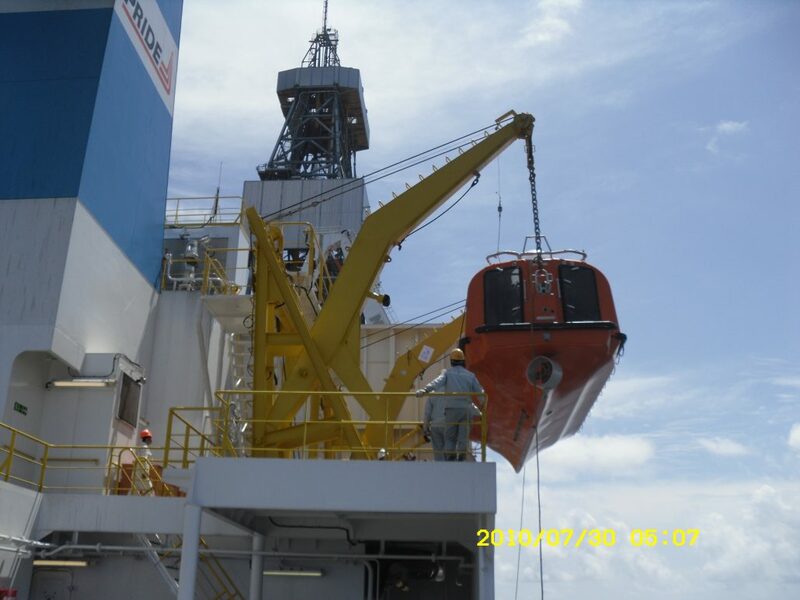 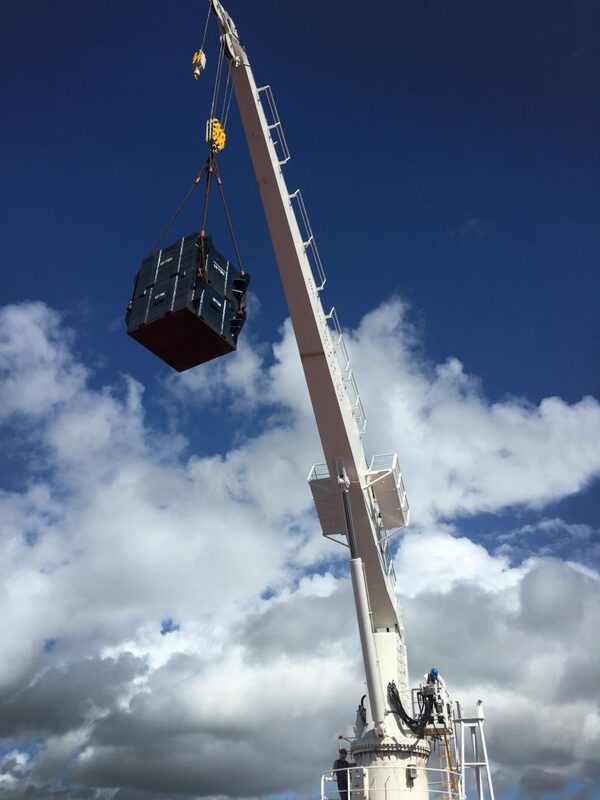 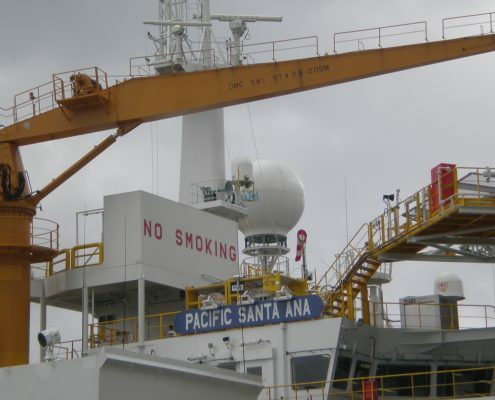 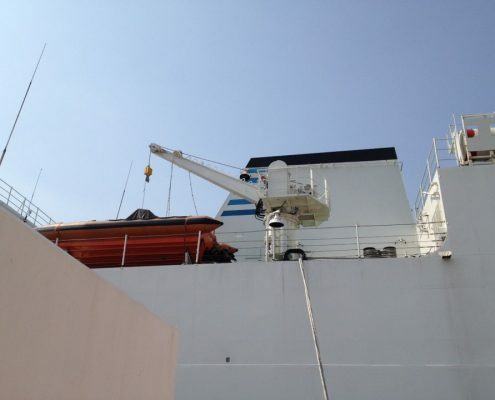 Provision crane is installed on the side of deck house use for handling shipping consumables such as food, household goods, and engine spares for crews during operation. 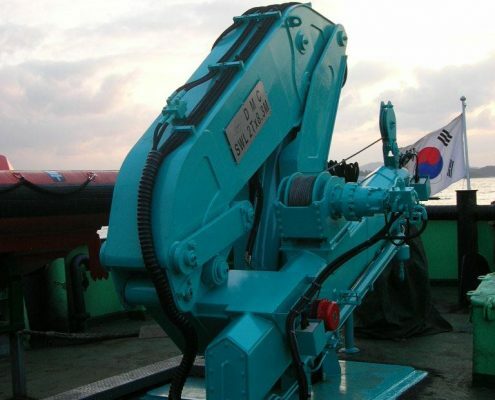 Operating type is to be decided by owner which can be electric type or hydraulic type. 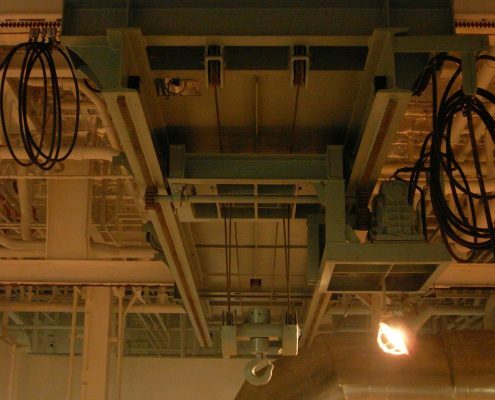 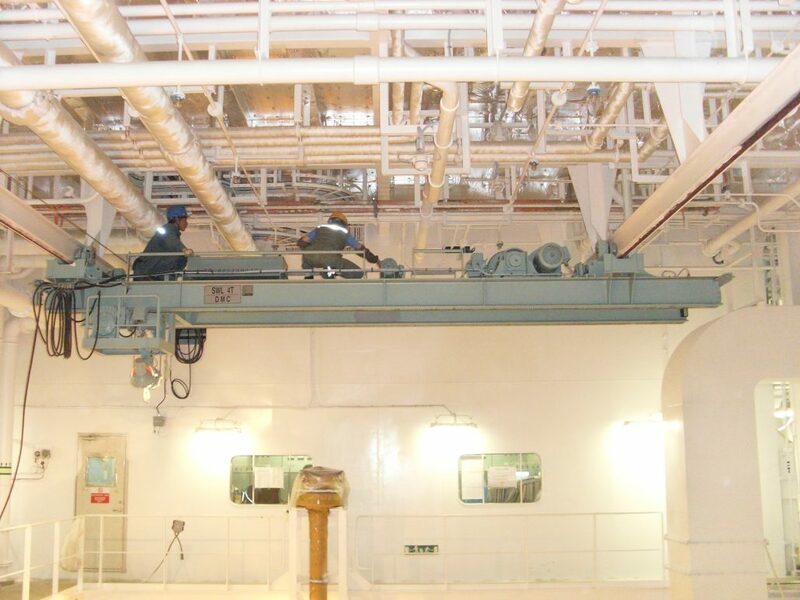 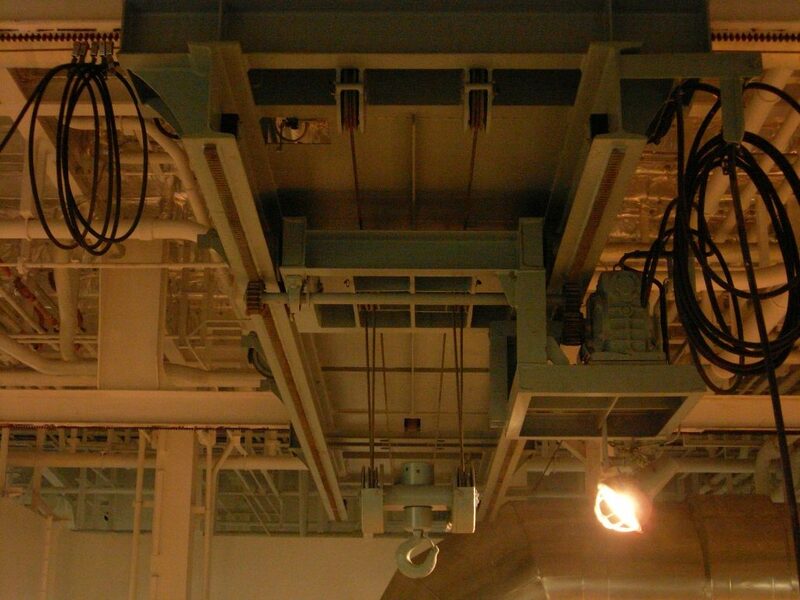 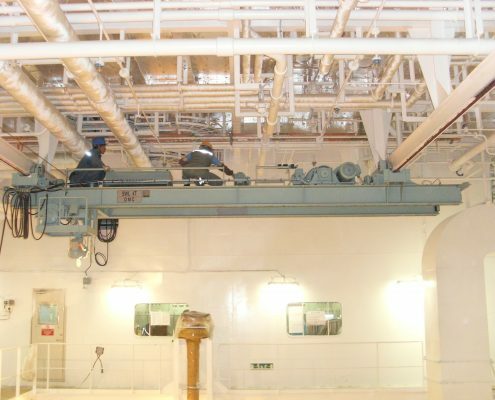 Engine room crane is installed on the ceiling of the engine room and is used for maintenance of the main engine and categorized as overhead, lowhead, and special type. 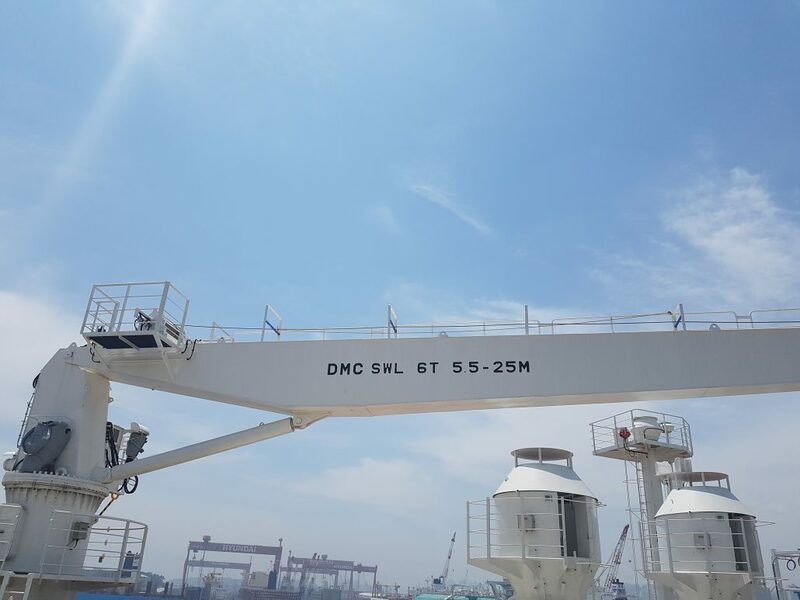 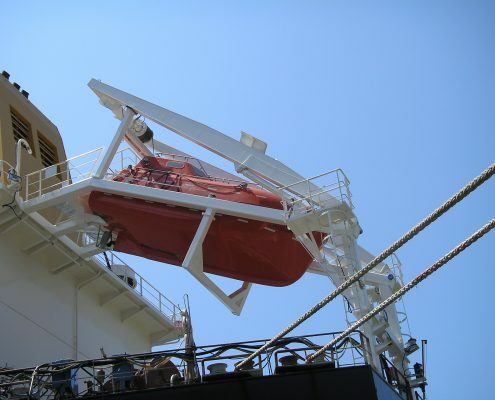 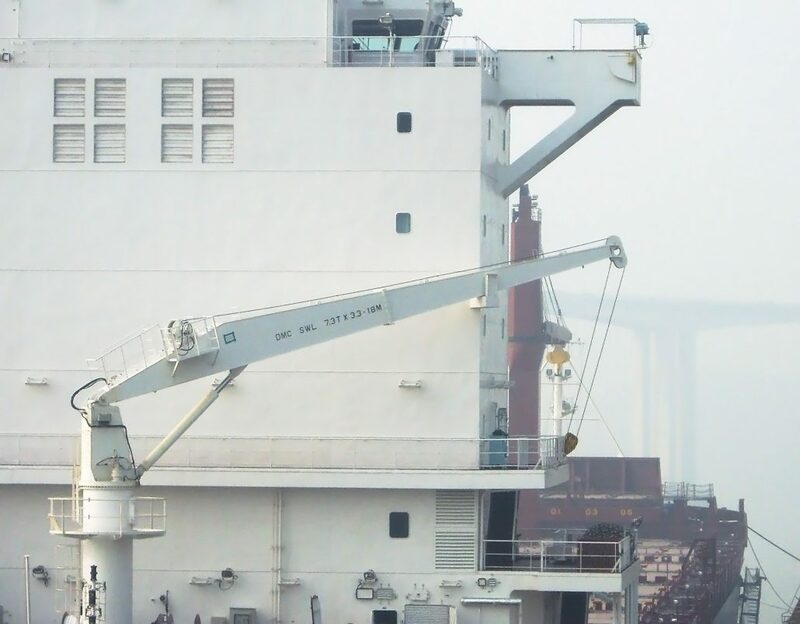 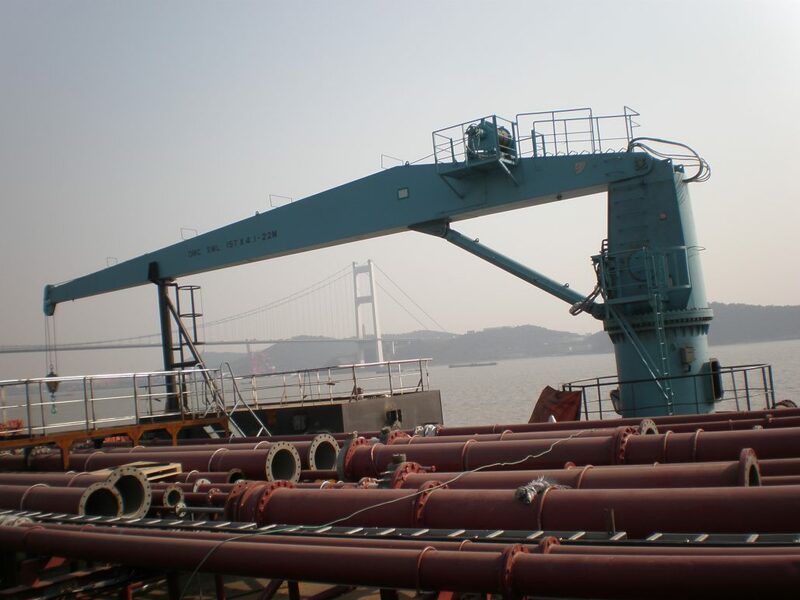 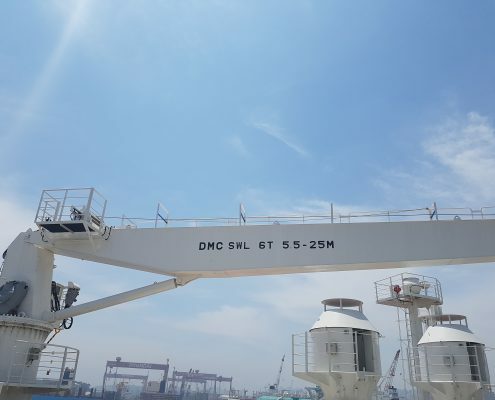 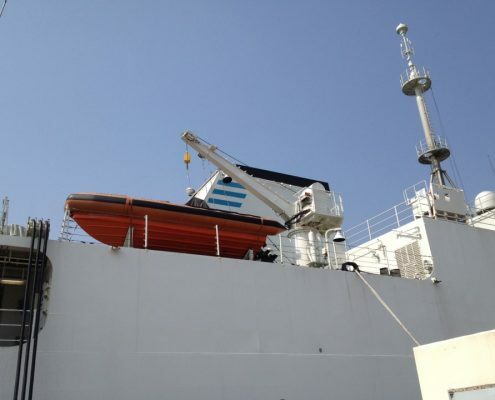 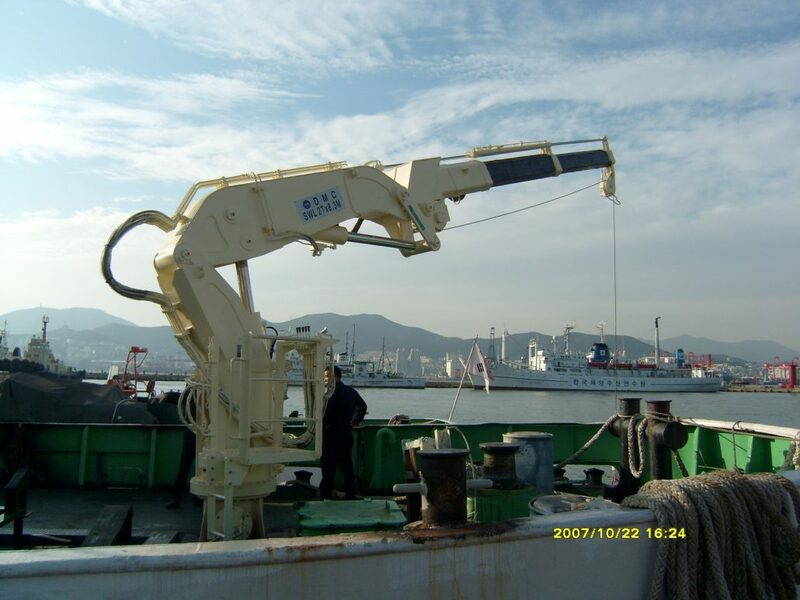 Monorail crane is commonly applied to container ship use also for handling the consumables such as food and household goods to the ship from pier. 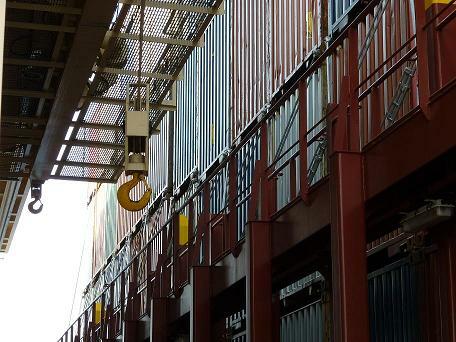 In order for shipping container to save space it is installed behind the deck house. 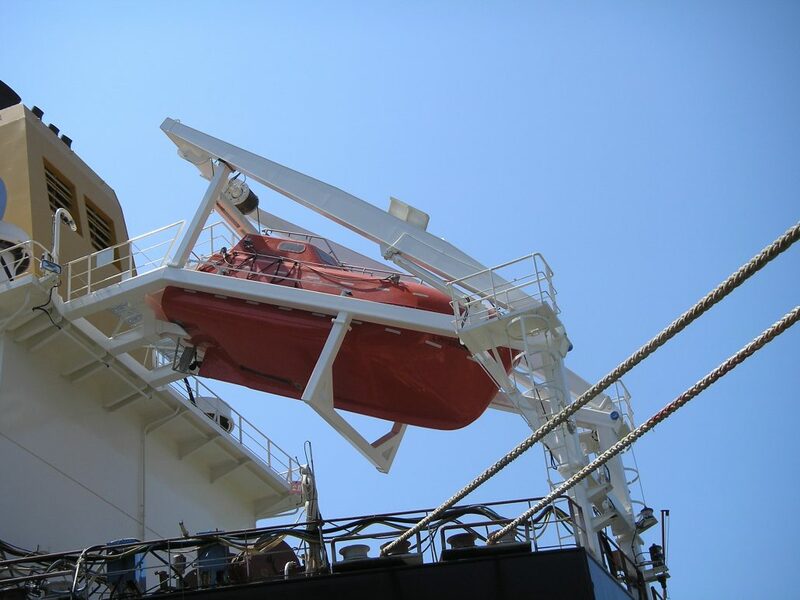 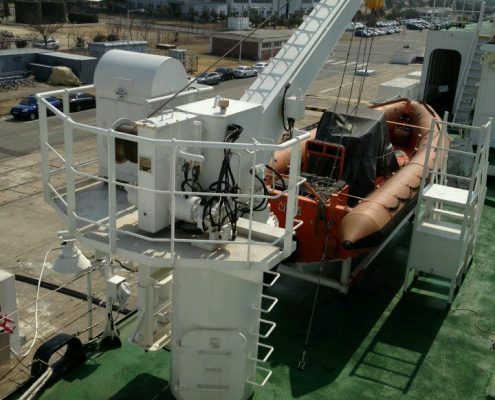 Lifesaving appliances is used by ship’s crew to escape or be rescued safely during emergency situation such as bad weather during voyage. 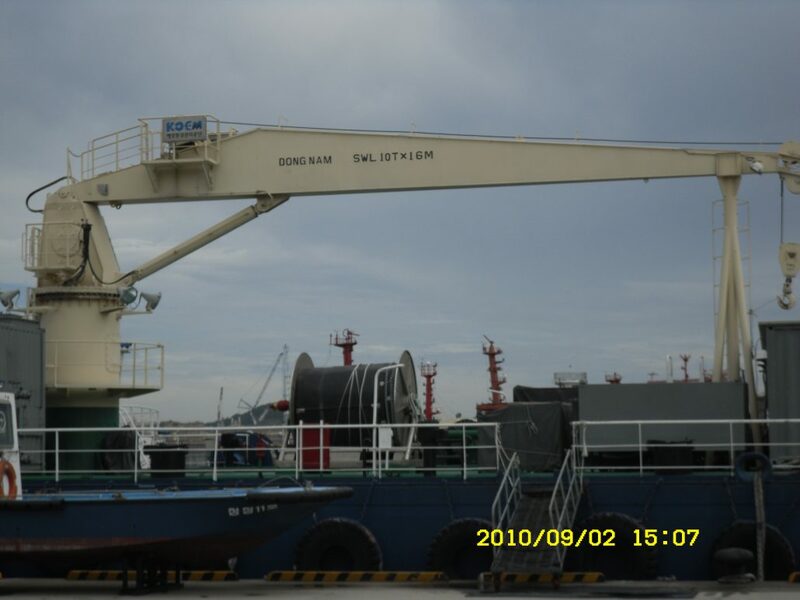 For loading and unloading of cargo and machinery in restricted space, Telescopic & Knuckle Telescopic crane is installed. 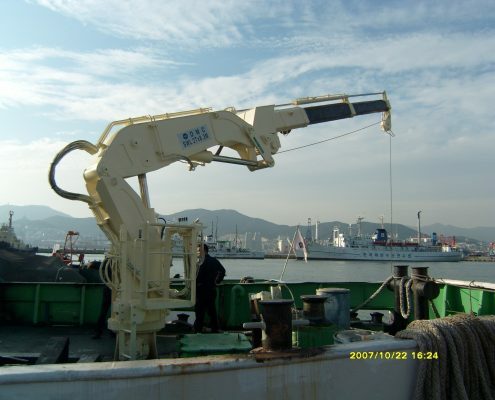 Telescopic crane has ‘extension’ function on the jib and knuckle telescopic crane have ‘extension’ and ‘folding’ function on the jib.